Printing blog posts can be beneficial for a few reasons. Some families don’t have internet access and may request that their child’s work be sent home. At times we also want to print hard copies of the work our students are sharing for display, documentation, or reference. 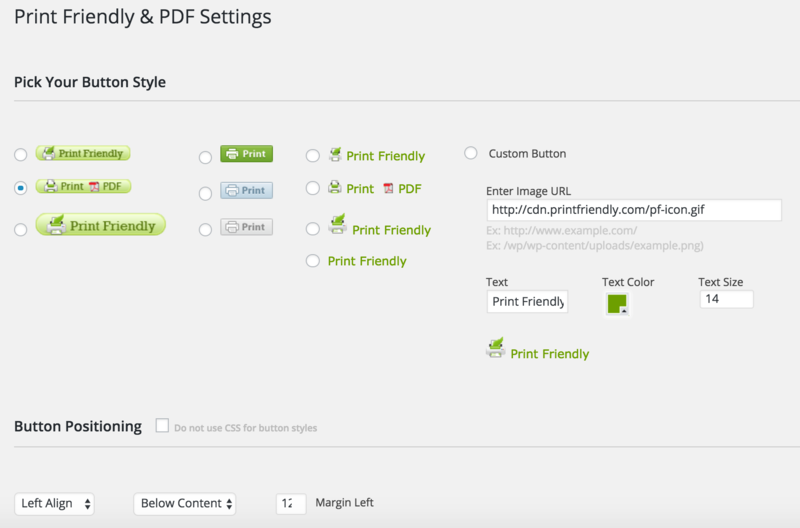 In just a few simple steps, you can instal a print friendly button to the bottom of each blog post and page automatically so you can and your students can print anything anytime. 1. Visit your blog Dashboard and click on Plugins. 2. Type the word “Print” into the search field. Click on the blue Activate button. That’s it! 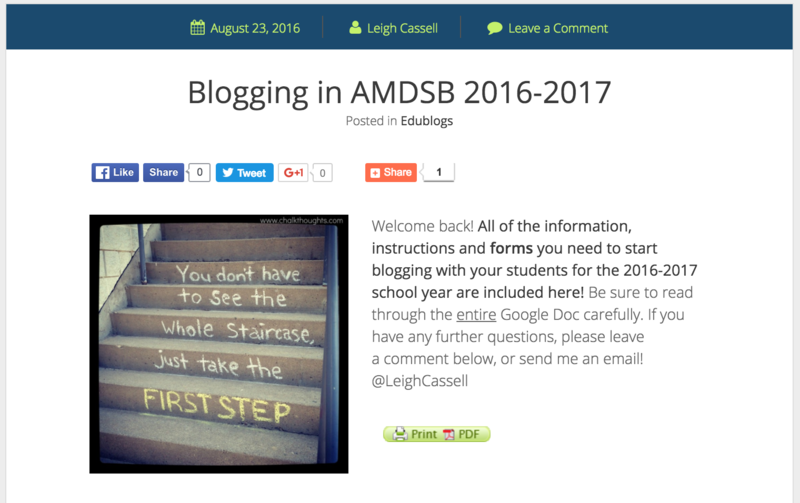 Now when you open a blog post or page you will see the Print Friendly button (green) underneath. 1. From your blog Dashboard re-open Plugins. 2. Type the word “Print” into the search field and you will see the Print Friendly Plugin appear. 3. Click Settings from inside the Print Friendly activation box. 4. I only recommend adjusting the settings I’ve captured in the screenshot if you wish to change the look and/or location of your Print Friendly button.